Your people are your most important asset. Synchrony People provides an out-of-the-box HR solution enabling you to focus on cultivating a culture of success throughout your organisation. 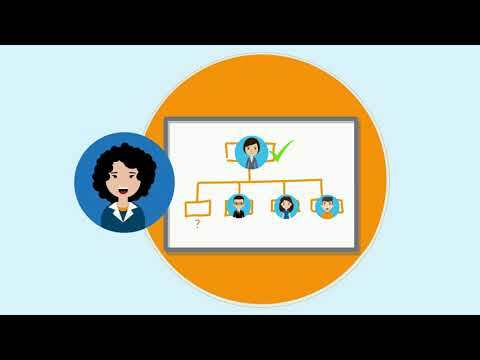 Synchrony People enables you to attract the right talent, align that talent to your company’s goals, and reward your top performers. 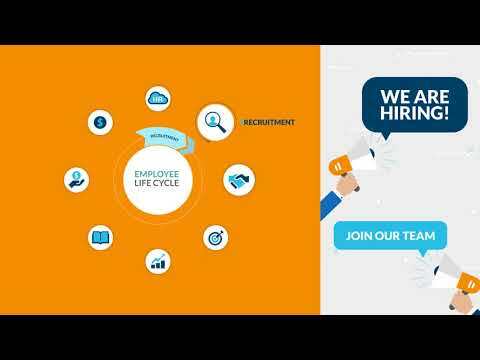 The solution provides end-to-end hire to retire lifecycle support through an amazing core HR platform, all with a user friendly approach. Synchrony People can be deployed in weeks, ensuring that you fast track your HR journey, and it’s based on the leading HR solution SAP SuccessFactors. It is suitable for business of all sizes, from small business to large enterprises. The solution grows with you, providing flexibility to add functionality as your organisation's needs change. The HR function is moving beyond automating processes, reducing costs, and compliance, to drive people decisions that grow the business. However, the majority of today’s HRIS solutions serve merely as filing cabinets for record keeping with no business impact. Siloed from talent, they prevent companies from making workforce decisions based on a 360 degree view of the employee. They also feature primitive analytics that provide minimal insights into the workforce and no support for workforce planning. 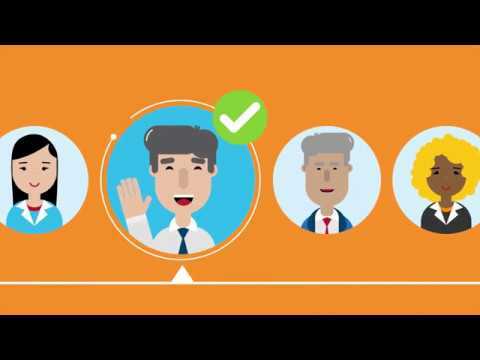 The Synchrony People Core HR Solution provides a central view of your employees with support for organisational data, personal data, time off and payroll data with full employee lifecycle process support. The solution aims to digitize and simplify your processes to improve operational efficiency and workforce insight, all whilst being legally compliant with all local requirements. In today’s highly competitive market, ensuring you have the best talent working for your organisation is key to success. This not only means processing new applicants and internal applicants quickly and efficiently, but attracting the right talent to your recruitment funnel. Synchrony People Recruitment is an end-to-end recruiting solution that couples recruiting marketing (for attracting and engaging top talent), recruiting posting (for seamless posting to job boards) and recruiting management (for selecting and hiring the best candidates) to drive better business results. This unique combination creates a toolset that will make your recruiting function more strategic. Once that talent is identified, Synchrony People Onboarding will accelerate productivity of new starters and enable pre-start engagement. Ensuring your people continually develop in the dynamic world of today will help deliver higher quality of services and products for your customers. Synchrony People Learning puts your employees at the centre of the learning experience, making them both teacher and student. Engaged employees will develop new skills, share ideas, and gain insights, making them more motivated and productive. Get formal, compliance-related training, informal self-directed and social learning, mobile learning, and extended enterprise training. Employees, managers, partners, vendors and even customers are all part of the learning process. And as an added bonus, access this tool from any device, anywhere! Aligning your people to your business goals and objectives is part of Synchrony’s DNA. If your talent is not aligned to your desired outcomes, you risk not delivering the results required. A powerful Performance & Goals solution enables managers to align employee activities with organsational strategy and monitor the performance of achieving those goals. Performance being measured yearly or twice yearly is a practice that is fast being phased out as the focus shifts to providing team members with continuous, meaningful feedback and coaching, enabling companies to quickly adjust to the dynamic changing world and ensure that their employees are on track at any time of the year. Synchrony People Performance & Goals provides an intuitive user experience in addition to innovative capabilities such as continuous performance management and mobile device readiness. Employee compensation is the largest expense for most companies, yet compensation planning that relies on e-mail and spreadsheets is error-prone, unsecure, and unproductive. Enabling managers to execute a pay-for-performance culture and improve budget accuracy is becoming the norm, not simply a nice-to-have feature. 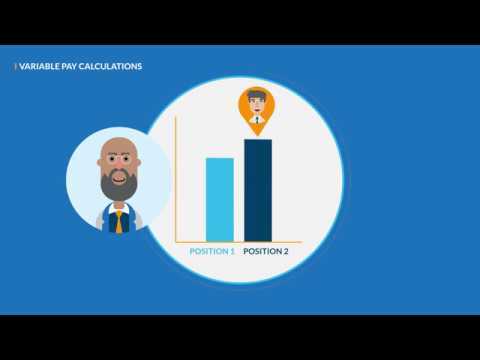 Synchrony People Compensation helps business leaders, compensation managers, and HR professionals dramatically improve budget accuracy and reduce risk by providing data to help managers determine who is truly high-performing and reward them appropriately. Base compensation includes merit based, promotion based, and inflation based adjustments, stocks and options, company and employee currency and senior management/executive editing. Having the right people in the right place to effectively execute on your strategy is quite a challenge. While HR needs to ensure that current leaders are in place and working effectively, it is equally critical to ensure a healthy pipeline of future leaders who are recognised, mentored and developed early to support company strategies. Synchrony People Succession & Development helps HR professionals identify and develop the talent needed to improve organisational strength and achieve today’s business goals, while providing visibility and planning for future growth. Succession & Development increases employee engagement, fosters professional growth and development, and maximises career opportunities for top talent, making your company the employer of choice. Terms and conditions may apply. Prices exclusive of implementation fees. Please contact us for a complete quote. Ensuring your people continually develop in the dynamic world of today will help deliver higher quality of services and products for your customers. SyncExpress Learning puts your employees at the centre of the learning experience, making them both teacher and student. Engaged employees will develop new skills, share ideas, and gain insights, making them more motivated and productive. Get formal, compliance-related training, informal self-directed and social learning, mobile learning, and extended enterprise training. Employees, managers, partners, vendors and even customers are all part of the learning process, and our solution focuses on one thing, the journey of continuous learning. And as an added bonus, access this tool from any device, anywhere! In today’s highly competitive market, ensuring you have the best talent working for your organisation is key to success. This not only means processing new applicants and internal applicants quickly and efficiently, but attracting the right talent to your recruitment funnel. Synchrony People Recruiting is an end-to-end recruiting solution that couples recruiting marketing (for attracting and engaging top talent), recruiting posting# (for seamless posting to job boards) and recruiting management (for selecting and hiring the best candidates) to drive better business results. This unique combination creates a toolset that will make your recruiting function more strategic. Once that talent is identified, SyncExpress Onboarding will accelerate productivity of new starters and enable pre-start engagement. What is the difference between the Premium HR and the Basic HR Bundle? The Basic HR Bundle provides a robust Core HR solution that enables the ongoing maintenance of employee data with support for the Hire to Retire Lifecycle. Premium HR extends this process support out to the Attract stage and further enables you to align your People to your organisation’s goals. Premium HR along with the robust Core HR solution includes Recruitment Management (applicant tracking) and Recruitment Marketing (attracting the right talent), and Performance & Goals Management. Does Synchrony People come with any reporting capabilities or is this an extra cost? 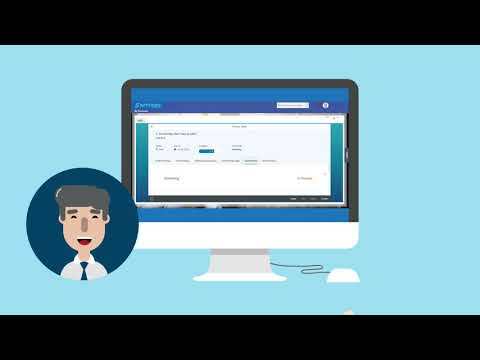 All Synchrony People modules provide reporting capabilities out of the box. Synchrony has enabled a standard suite of reports that will simplify report generation, but clients have the flexibility to add new reports themselves using the ad hoc-report functionality that is provided with the solution. Can I buy a specific process without buying Basic HR or Premium HR? Unfortunately, this is not possible. 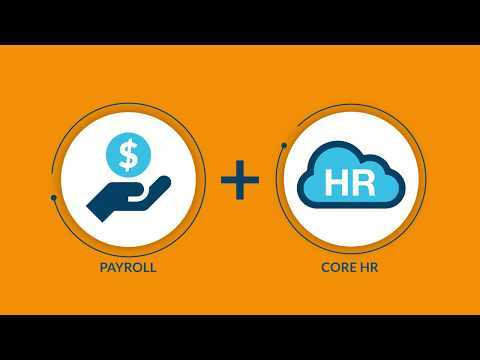 The Core HR Solution is a key component of Synchrony People and cannot be decoupled from the overall package. 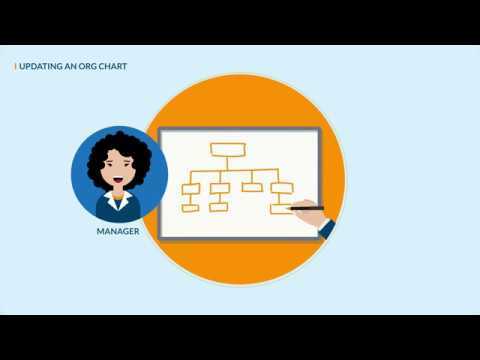 Many of the modules features depend on the foundation aspects of the Core HR Solution. If you are looking for a single module solution, Synchrony can provide a traditional SuccessFactors solution to you, we can utilise the Synchrony People Solution as an accelerator however ongoing maintenance will be the client’s responsibility. Synchrony Engage can also be purchased for a specific module implementation, however the standard step-by-step processes may need to be altered if you alter the underlying process. Ask us for a quote if this is an option you’re looking at. Can I add my own customisations to Synchrony People such as custom fields and processes? Whilst your Synchrony People solution is a single tenant environment (i.e. your data is not shared with any other clients), it is a single code environment, where all our clients will utilise a common code base. This means that we can support the solution in a more efficient manner and ultimately enables a lower subscription cost to our customers. This also enables our clients to benefit from innovative quarterly updates without putting any of your existing data at risk. If I cannot adopt the Standard Synchrony People Processes, what are my options? 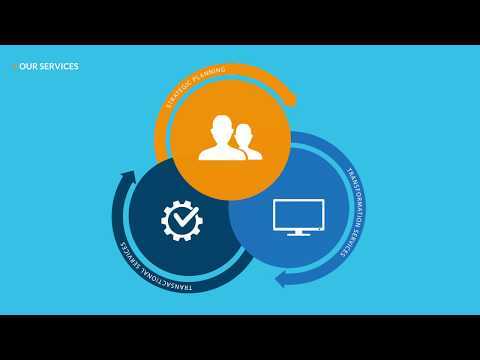 Synchrony can provide a traditional SuccessFactors solution to you. Whilst we can use Synchrony People as a base template to minimise implementation fees, the ongoing maintenance of the solution will become the client’s responsibility. You will also need to update the Synchrony Engage step-by-step processes to match any customer specific processes created. Can I add a process after I buy an initial package? Yes, once you have purchased either the Basic HR or the Premium HR package, at any time during your subscription you can add any other process. Do I pay the setup fee every time I add a new module to my subscription? No, you only ever pay the setup fee once. Synchrony’s team of architects based on their combined involvement in over 500+ SuccessFactors implementations has found that across most implementations there is approximately 80 percent of common configuration settings that are repeated during each project. We also believe that cloud enables the adoption of best practice process. We therefore have pre-populated Synchrony People with these settings and best practice processes. This allows our clients to focus on the “last mile” of system deployment utilising a self-guided configuration wizard, effectively adding your company data and employee data. This is similar to the difference between starting with a blank word document versus utilising a pre-designed template. What areas of the system will I have to configure? We think we can complete the configuration, but need help with technical aspects of the deployment like data migration, can Synchrony assist us with this? Our professional services team can assist with any aspect of the deployment. The fees associated with data migration will vary depending on the number of data sources and the scope that you would like Synchrony to perform. Request a quote from us and we will be happy to provide an estimate. We have looked at the configuration and really think we need help to implement the solution, can Synchrony still provide implementation services for Synchrony People? Absolutely, our accelerated implementation services approach is still available as an option to our clients. Typically, this involves spending time with one of our lead consultants who will design the end state solution for you, and then this is sent to our delivery centre to configure in the system. Our team can also help with testing and data migration. Training is deployed using Synchrony Engage with over 90 pre-packaged SyncSteps that provides guided assistance real-time to your Employees and Managers. Request a quotation for a professional services based implementation and we will be happy to provide estimates. Note, implementing Synchrony People is typically between 33 percent to 50 percent cheaper than any other SuccessFactors based solution to enable a quicker return on investment. Can we integrate Premium HR or the Basic HR Solution to our own internal payroll system if we do not take the Synchrony Payroll bundled option? Yes, Synchrony’s professional services team can be engaged to integrate your Synchrony People Solution to your payroll solution. The cost will vary depending on mode of integration (e.g. flat file vs API-based) and the level of involvement you will require from Synchrony (e.g. technical integration only or through to parallel testing phase). If I utilise professional services, does that mean I must continue to engage them for ongoing services? Our clients will be able to utilise the Synchrony Engage tool even if they have used Synchrony Professional Services for the initial implementation fee. As you grow more comfortable with the system, you will still be able to use the self-guided configuration tools yourself. What are the payment terms that govern the purchase of Synchrony People? Synchrony’s standard payment terms are payment of fees annual in advance, payable at 30 days upon invoice. Upon request, we do offer quarterly in advance payments (again at 30 days upon invoice), when you request a quote, please advise that this is the desired payment option. We do not offer monthly payment terms and we do not offer greater than 30 days’ invoice terms. 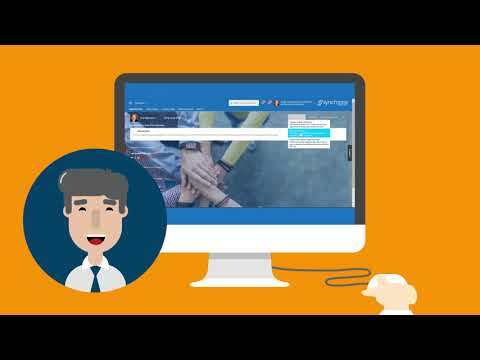 What is the minimum subscription period that you can purchase Synchrony People for? The standard contract for Synchrony People is for a three-year term. Upon request, Synchrony can accommodate a one-year term however this is subject to approval. You can cancel your subscription at any time, however if you are in your initial contract period (e.g. initial three-year period), you will have to pay a cancellation fee that is equal to the remainder of your contract term. If you cancel outside of your initial contract period, you can cancel with 30 days’ notice. Can I remove a process from my subscription? Once a process is added to your subscription, the removal of the process is treated the same as cancelling a contract (i.e. the remainder of the subscription for that process will be payable as a cancellation fee). How am I charged if my employee population exceeds the employee count listed in my subscription? Upon anniversary, you will be invoiced for the difference in headcount to date and your following year’s invoice will be adjusted to the new population. You do have the option to contact Synchrony throughout the year and advise of any major growth in population (e.g. acquisition of an organisation) and we can adjust the subscription fees at that time.